Bake delicious treats like cookies that can slide right off the tray with the GoodCook Nonstick Cookie Sheet! Made with heavy duty nonstick coating, this cookie sheet is sure to satisfy both your kitchen cleaning and your taste buds. 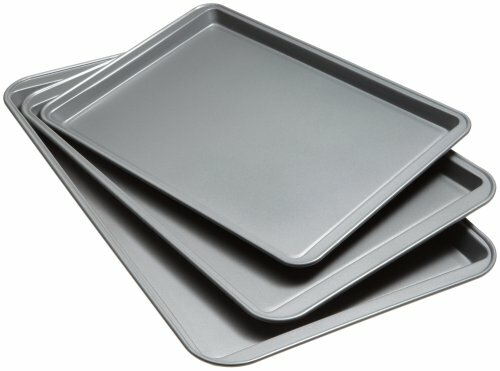 And the durable tray ensures that you can continue to use our GoodCook Non-stick set, knowing that they will look brand new each and every time.